RSYSLOG is a super fast system to process logs and events. It provides a very efficient way to setup a centralized log server. This article will help you to save log files to the MySQL database. First we need to install LAMP on our server to setup rsyslog with MySQL. Use following commands to install required packages. After installing all the required packages start all services using following commands. By default rsyslog is installed on RHEL based system. If rsyslog is not installed user following commands to install rsyslog packeges. There is default sql script is available to create the database. Use mention command to create MySQL database. After creating the rsyslog database, we need to create MySQL user with grant access for accessing database. 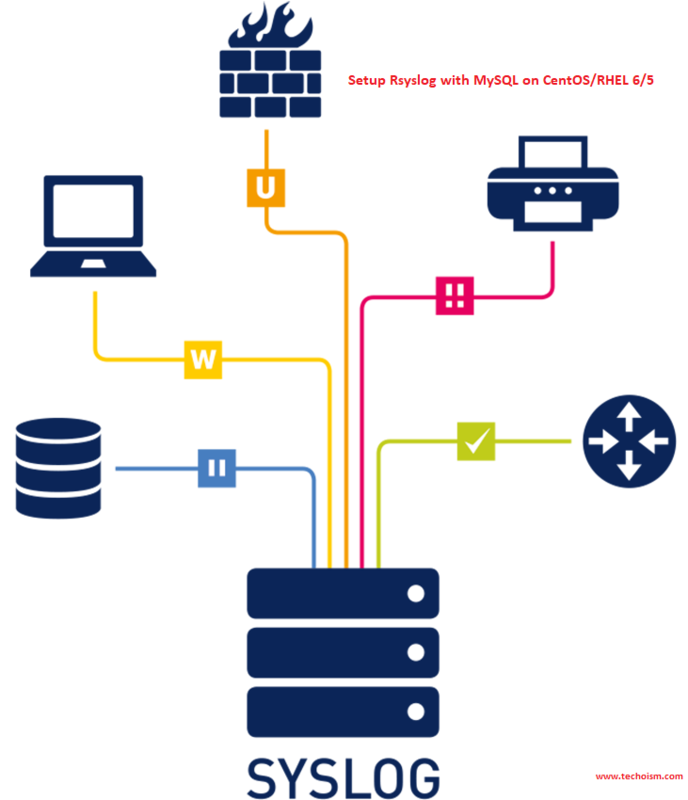 Now we need to enable MySQL module using Rsyslog configuration file, Also update Rsyslog configuration with MySQL connection details. Add following entries in configuration file. We have successfully configured Rsyslog with MySQL database server. Now, all the logs will save in Syslog database. If you want to view logs on web interface following below link.